OAKLAND — A former Your Black Muslim Bakery associate suspected in a plot to kill witnesses in the Chauncey Bailey murder case appeared in court Monday on charges that he fired into an inhabited building in 2009. Gary Popoff, 42, was charged last month with shooting into a building in the 5800 block of San Pablo Avenue — not far from where the bakery’s headquarters once stood. He was also charged with being a felon in possession of a firearm. Sources close to the investigation say Popoff was arrested in November 2009 with a gun, which later was matched to his DNA and, through ballistic analysis, to the San Pablo Avenue shooting a few days earlier. Alameda County Superior Court Judge Robert McGuiness noted Monday that this is a third-strike case for Popoff, whose past felonies include first-degree residential burglary and second-degree robbery. The judge tried to refer Popoff to the Public Defender’s office, but Popoff replied that he wanted to represent himself. Another judge, Delbert Gee, granted that request Monday afternoon after he warned Popoff it was a “foolish” decision. But Popoff said he does not trust the Public Defender’s office to fight for him and claimed he was innocent of the shooting charge because he was in the California Department of Corrections drug treatment program at the time. Popoff also said he believes he can adequately represent himself. Popoff’s latest charge stems from a Nov. 19, 2009, shooting of a computer store on San Pablo Avenue, law enforcement sources said. According to those sources, members of Your Black Muslim Bakery had a dispute with the computer store over a computer the group left to have repaired but never picked up. Eventually, the computer store owners got rid of the computer, angering the bakery members. Popoff was arrested several days after the shooting with a gun and drugs, including Valium and marijuana. Popoff is also suspected in a plot to kill witnesses for the bakery. According to an affidavit written by a district attorney’s investigator, attorney Lorna Brown smuggled “documents out of the Santa Rita Jail” in March 2010 on which Yusuf Bey IV had written instructions to a Your Black Muslim Bakery follower about killing witnesses. Bey IV, 24, former head of the defunct black empowerment organization, is charged with ordering the slaying of journalist Chauncey Bailey and two other men in 2007. The charges followed a grand jury hearing in April 2009 that included testimony from witnesses close to Bey IV and the bakery. 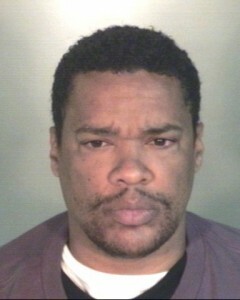 Investigators quickly unraveled the plot and arrested Popoff, who considered himself Bey IV’s “No. 1 soldier,” according to a recorded jailhouse telephone conversation between the two. The papers Brown took from Bey IV at the jail were on the dashboard of Popoff’s car at the time of his arrest in mid-March. Accused of conspiring to dissuade a witness, Popoff had his parole revoked in late April and was sent to San Quentin State Prison. Popoff denied any involvement in such a plot, but “had YBMB (Your Black Muslim Bakery) tattooed on his arm and admitted to being in debt” to Bey IV, and talked about wanting to help Bey IV “in various ways, according to a summary of his parole revocation hearing. Law enforcement sources close to the investigation said they have been concerned for months that charging Popoff could delay getting the Bailey case before a jury. Rather, sources said, they had intended to let Popoff serve most of his 9-month term for the March parole violation and then charge him with other felonies that would result in a long prison sentence under the state’s three strikes law, given his lengthy criminal history. Brown stepped down from Bey IV’s case in April; she has more recently decided to resign from the practice of law, a step often taken to evade disciplinary action by the State Bar of California.